Stormy the lamb might not have had much of a chance in life – she was rejected by her mother right after birth. 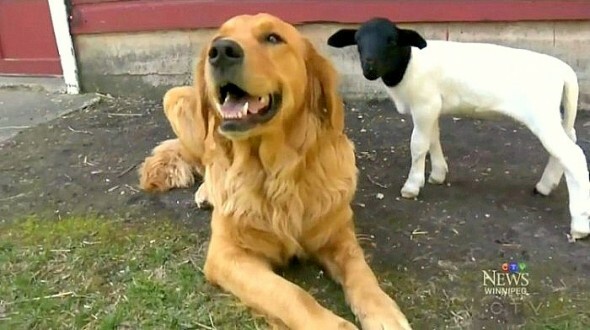 Maybe her mother knew something no one else did – that this lamb was meant to grow up having a dog for a mom. Because that’s exactly what she’s getting. The wee lamb was born on May 17th at a farm near Winnipeg. She was swiftly abandoned by her mom, but as good fortune would have it, as dog at the farm took a liking to her. 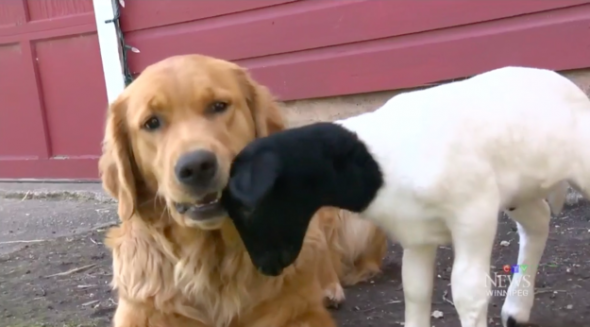 One-year-old golden retriever Tammy fell in love with Stormy and “adopted” her. As they are completely inseparable, it has been decided that Stormy will live at the farm forever. 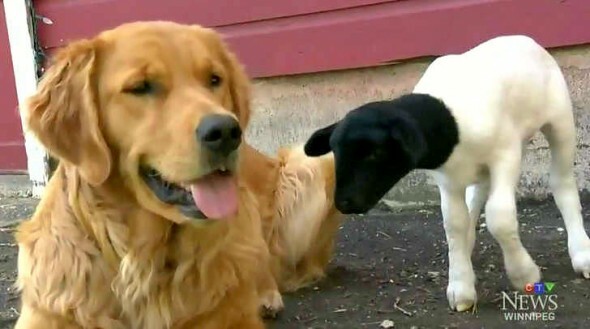 Responses to "Loving Puppy Adopts Lamb Whose Mother Didn’t Want Her"